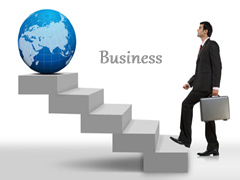 Home » Personal Finance » What is required to be successful in business? Many people dream of starting their own business but they never do so because they’re afraid of failing. It is known face that 9 out of 10 businesses fails in first 5 years of starting the business. This may be due to lack of experience, lack of cash, knowledge or skills required to run the business. So, let’s discuss in detail what is required to be successful in business. Most important thing for business is mission; many people start a business only to make money. Just to make money is not a strong mission. Money alone does not provide enough fire, drive, or desire to run the business. One should have strong and clear mission for the business, as mission guide the actions of the organization, spell out its overall goal, provide a path, and moreover help for making decision. It should provide “the framework or context within which the company’s strategies are formulated. When a business gets big and it forgets its mission, or the mission it was created for is no longer needed, the business begins to die. You must have leadership quality in order to run business. A leader’s roles are a combination of visionary, cheerleader, and boss. As a visionary, the leader must keep his or her focus on the corporate mission. As a cheerleader, he or she must inspire the team as it works together towards that mission as well as herald the successes along the way. As the boss, he or she must be able to take the tough calls regarding issues that distract the team from achieving the mission. The unique ability to take decisive action while maintaining focus on the ultimate mission is what defines a true leader. With the right mission, team, and leader you are well on your way to building a strong business. To succeed, a business must have the proper expertise in key areas. An individual may not be having expertise in every area so he or she need group of people to formulate successful business. Extraordinary team members with good level of expertise will bring success to business. Choose best team member to bring electrifying success. Cash flow management is a fundamental and essential skill if a person truly wants to be successful in the business. Cash flow is to a business what blood is to the human body. Nothing can impact a business more dramatically than not being able to make payroll at the end of the month. A good cash flow manager reviews his or her cash position daily, looking at cash sources and needs for the next week, month, and quarter. This allows him or her to plan for any large cash need before it becomes a cash crisis. Cash flow management is continuous process many people lose sight on cash management when business grows or become successful. This is major cause of business failure. Proper cash management (and therefore expense management) is crucial to the on-going success of any business. One of the most important point for successful business is communication management. Better you are at communication more and more people you will communicate to, and thus increasing chances of building more customer base. Be a good communicator to be a good business man. Managing people effectively to release their full potential and enable them to succeed is a most important, and most difficult, job for businessman. You must lead, motivate, inspire, and encourage them. Sometimes you will have to hire, fire, discipline or evaluate employees. Remember For any business, a major capital investment is the investment in people – ‘human capital’. Every business, whether large or small, needs to have systems in place to enable it to conduct its day-to-day activities. Even a sole proprietor has to wear different hats to conduct his or her business. In essence, the sole proprietor is all systems in one. For any business to grow, individuals must be accountable for each of the systems and a general owner / director must be in charge of making sure all the systems operate to their highest capacity. In order to be successful in business one must know legal aspect of business. It is required to protect your business from legal matters which may happen. Legal issue may surface in almost every facet of a business so you must know law or you must have expert to help you. The company’s product, which the customer ultimately buys from the business, is also important aspect for successful business. It could be a tangible item such as a cloths or an intangible item such as consulting services. Product management is to keep close eye on market (customer) and keep on modifying product as per customer needs. So product management is required by company who need profit & success. Success of your business depends on market where you actually sell your product or services. If you are selling products where there is not enough demand (buyer) than you are trying to swim without water. So, market knowledge is equally important for success of business. I hope information given here will help you, if you want to startup new business or if your business is not doing well.